Dr Vicky Thakordas-Desai is a highly specialist psychologist with over 15 years’ experience working in a range of secure and community based forensic and clinical settings with children and young people, adolescents and adults. Dr Thakordas-Desai has extensive experience assessing and treating adults and young people presenting with complex mental health, behavioural and emotional difficulties. These include personality disorders, psychopathy, cognitive functioning deficits, developmental disorders, depression, anxiety, trauma, relationships/attachments issues, self-harm/suicidal behaviour and substance misuse. Dr Thakordas-Desai has conducted numerous risk assessment reports for court and Quasi court purposes in both criminal and civil cases and has received Expert Witness training from Bond Solon and Phoenix Psychological Services. As a warm, approachable mother of two young children, Dr Thakordas-Desai offers practical guidance and advice when working with young people and her evidenced based, systemic approach helps guide her clients towards positive long-term change. 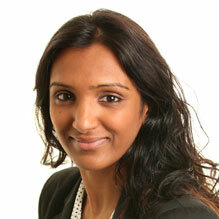 You don't need a GP referral to see Dr Vicky Thakordas-Desai.